1. Flight of Dreams by Ariel Lawhon. Really stellar. Suspenseful, tightly plotted, and racheting its way to a merciless climax, “Flight of Dreams” takes a famous historic disaster–the explosion of the Hindenburg–and uses it as a ticking clock to power the novel along as a handful of likeable and unwitting characters scheme, dawdle, fret, kiss, drink, smoke, and kill time on the great luxury dirigible crossing the Atlantic, as all the while the reader is screaming at them to get off the balloon before it’s too late. Usually I can pick up clues in books like these and figure out in advance who will live and who will die, but this time I was blindsided. A terrific read. Buy for: Your office Secret Santa who you don’t know from Adam. There’s seriously no one who won’t be sucked in by this book—your thrill-loving cubicle-mate who loves a mystery with flying bullets, your corner-office feminist boss who likes her heroines smart and assertive, or the barely-out-of-her-teens office intern who will identify with the poignant coming-of-age subplot. This book has something for everyone. 2. Conclave by Robert Harris. A sensationally gripping book covering the tense few days between the death of one pope and the election of another. Who will it be? Harris makes these quiet scenes of old men casting ballots in a locked room unbearably tense, and his hero–a thoughtful Italian cardinal with no desire to be Pope–is a humble, lovable Everyman we can all root for. The end is a shocker. Buy for: Your relapsed Catholic great-aunt who hasn’t been to confession since Vatican II. She’ll get a kick out of this peek behind the doors of Sistine Chapel. 3. Possession by A.S. Byatt. A dense, delicious, literary puzzle as two modern-day poetry scholars unravel a hidden love affair between a pair of famous (fictional) 19th century poets. Switching back and forth between the Victorian lovers who fall in love via their intense shared love of their work, snippets of their luscious poetry and heart-breaking letters, and the 20th century scholars on the hunt for those same letters and poems, this is a dazzlingly complicated puzzle, an ode to scholarship and poetry, and a tragic love story all in one. 4. Dragon Springs Road by Janie Chang. A fierce, elegant coming-of-age story starring an orphaned Eurasian girl struggling to find her place in the world among the tumultuous shifting tides of the early Chinese republic. Jialing is a desperately appealing heroine, struggling for an education, a job, a husband, anything that will give her a future, and continually having doors slammed in her face. A touch of magic realism makes this one special, as the isolated Jialing’s only constant friend is a mischievous fox spirit who makes her home at Dragon Springs Road. Buy for: Your hist-fic-devouring pal who has been complaining for years that there isn’t enough historical fiction written outside western Europe. Make her day and give her Chang’s compelling Three Souls too, with a fan to cool her cheeks when the Chinese communist poet sweeps the heroine off her feet. 5. Piece of Cake by Derek Robinson. A real classic of wartime literature: a squadron of RAF fighter pilots making their way first through the idyllic boredom of the “Phony War,” and then being plunged headlong into the hellish dangers of the Battle of Britain. Tragedy and humor and spine-tingling action run side by side in this tale; Robinson pulls helpless laughter out of you with the high-jinks of his adrenaline-junkie young heroes, then turns the pace on a dime and has you mopping your eyes as the cruel odds of aerial battles against enemy Messerschmitts sends the irrepressible fliers you’ve come to love spiraling one by one to their deaths. An unforgettable heart-breaker. Buy for: Your grumpy great-grandpa with his cane and his WWII Veteran cap. Maybe he’ll unbend after reading, and tell you a few things about what his war was like. Or maybe not. But I bet he’ll enjoy this book. 6. Goodnight From London by Jennifer Robson. Another tale of the London Blitz, this one told from the ground looking up rather than the sky looking down. The terror and courage of London under fire is seen through the eyes of Ruby, a gritty young female journalist trying to make her mark in a man’s world. Ruby’s little band of friends—boarders at her boarding house, colleagues at the office, a certain taciturn fellow who keeps disappearing on unexplained missions overseas—make for an appealing gang to root for in a world where the next bomb may claim any or all. Buy for: Your tart-tongued grandma who remembers just what it was like to be the only working girl in a man’s office, and will get steamed up all over again at the trials Ruby faces dodging around the desks and struggling to get credit for her own ideas. 7. Between Two Fires by Christopher Buehlman. A curious, fascinating book that mixes fantasy, horror, and history in a deft, riveting blend. In the wasteland of medieval France, riddled by the aftermath of war and the horrors of the Black Death, a trinity of unlikely pilgrims come together: a cynical knight mourning the loss of family and honor, a fallen priest racked by both homosexuality and guilt, and a young girl who is most definitely something otherworldly. As she leads them on a quest to rediscover their own souls and bring an end to the plague, they battle earthly foes (starvation, illness, mobs) and unearthly ones (demons, angels, and some truly hair-raising monsters). Theirs is a rollercoaster ride through demon lands and angel-scapes, and maybe not for everyone–both the violence and gross-out factor are fairly high–but I was spellbound to the end. Buy for: That teenaged nephew or son who doesn’t read but has a ghoulish imagination (what teenage boy doesn’t?) He’ll get sucked into the gore, the sword-fights, and the spilling monster entrails, and come away knowing more than he ever thought to learn about French medieval history. 7. The Girls In The Picture by Melanie Benjamin. An unabashed power anthem celebrating female friendship and female ambition, wrapped in the sparkling myth of the early Hollywood film scene. Budding screen-writer Frances gets her big break in an unexpected partnership with America’s sweetheart Mary Pickford, a mega-star whose ringlets and dimples hide flinty determination to succeed. 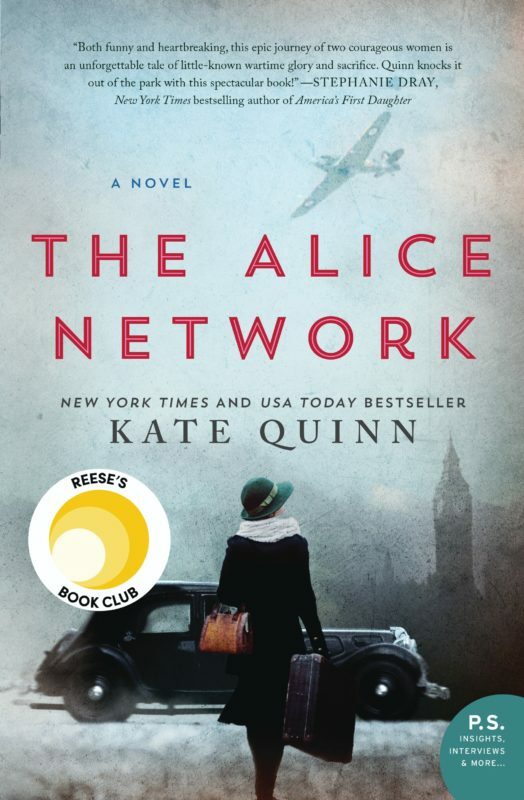 Frances and Mary’s friendship may be rocked by wartime politics, scheming colleagues, and jealous husbands, but it’s always to each other that these complicated, powerful women return. Glamour, glitz, and girl power galore. Buy for: That young woman in your life, be it daughter, niece, or girl next door, who’s just going off to college. This will encourage her to chase her ambitions, no matter how huge they are, rather than apologize for them. Ambition, as Reese Witherspoon said, is not a dirty word. 8. Unlikely Pilgrimage of Harold Frye by Rachel Joyce. Newly-retired Harold is quietly having a midlife crisis, left at loose ends with too much time, too many regrets, and a wife gripped by her own internal struggles. A letter from dying friend Queenie jolts Harold into unexpected motion: he decides to cross England on foot to Queenie’s bedside, convinced she will live until he can see her face to face and make amends. The people he meets along the way, humorous and helpful and annoying, sometimes all three, will change Harold as he changes them, and his left-behind wife isn’t just the typical nagging scold but turns out to have an epiphany and a secret all her own. A quirky, delightful, unexpected read with some real tear-jerker moments. Buy for: Your newly-retired uncle, who will get a kick out of a book where the questing hero isn’t some teenager but a middle-aged guy with a big dream. Buy him a pair of good walking shoes to go with the book, just in case he gets inspired. 9. 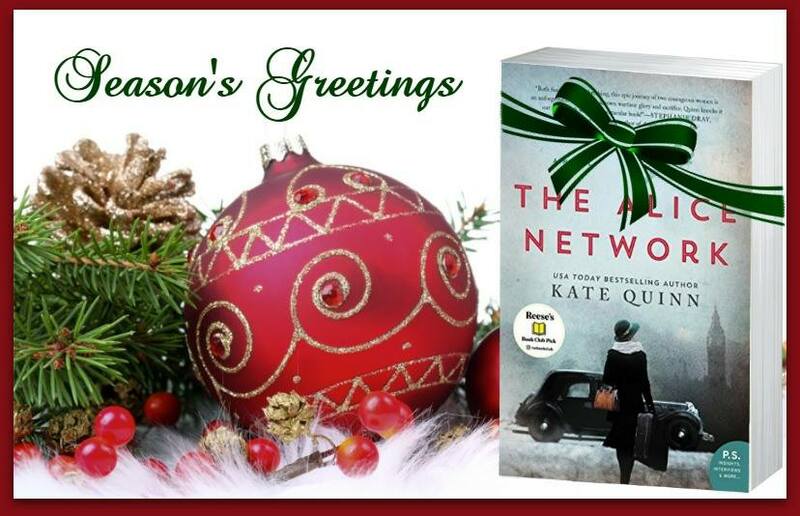 Last Christmas in Paris by Hazel Gaynor and Heather Webb. This joint collaboration is a gripping epistolary novel beginning with heartbreaking gaiety at the start of the First World War. A progression of letters flies between a spirited female journalist, a bookish new-minted soldier, and the various bright young things who make up their band of friends, charting the slow, heartbreaking passage of years as war and disillusion grind away youthful dreams and ideals. Humor, love, tragedy, and hope make for a moving, uplifting read. 10. Lions of Al-Rassan by Guy Gavriel Kay. I’m a new convert to GGK’s work thanks to the recommendations of my writing buddy SJA Turney (whose work has also been on my top ten list) and this is a book that made me weep ugly tears. It’s a fantasy version of Moorish Spain, where three factions very recognizable as the Moors in power, the Spaniards in neighboring border kingdoms who eye the territory lost centuries ago, and the Jewish population who just tries to get by in both worlds are poised on the brink of an ugly religious re-conquest. But for the space of a year or so, peace is held and explored through the odd partnership of a Moorish warrior-poet, a Spanish mercenary captain, and a fierce female Jewish physician who bridge the religious and cultural gaps to find friendship, and dare to hope their people can do the same. Transcendent and heartbreaking. Buy for: Everyone you know. Absolutely everyone. Because this beautifully-written paean to the wisdom of choosing understanding and friendship over the barriers of hatred, religion, and race has never, EVER been more timely. And for bonus reads: The Woman In Black by Susan Hill, if you love a good Gothic ghost story to raise the hairs on your neck…Crown In Candlelight by Rosemary Hawley Jarman if you like gorgeously lush historic tales with poetic language…The Wardrobe Mistress by Meghan Masterson for a lovely French Revolution-set coming-of-age story… Feast of Sorrow by Crystal King for a Roman epic about a young slave who helps pen one of the world’s most famous gourmet cookbooks! Get thee hence to a bookstore and finish up your holiday shopping. Happy Saturnalia!